When it rains art and culture in Shreveport-Bossier, it pours. We have dry spells, just like anywhere, but those spells tend to end in a veritable gullywasher of art openings, festivals and performances. Take this weekend, for example: the 27th annual ArtBreak festival (the south's largest student art exhibition, April 29-May 1), the Texas Avenue Makers Fair (Saturday, April 30, 9 a.m.-5 p.m.), and the 4th annual ASEANA Spring Festival (also Saturday, 9 a.m.-5 p.m.) are all happening at the exact same time within blocks of one another in downtown Shreveport. Notably, all three of these phenomenal events are free to attend. And just as certainly as you can count on three or more major art events falling on the same day in Shreveport-Bossier, you can bet that some small but wonderful art exhibit's opening will come and go in the shadow of these better-publicized events. This weekend, that quiet, largely unheralded event is the opening of Bennett Sewell's "It's What You Make Of It" exhibit at Meadows Museum of Art. 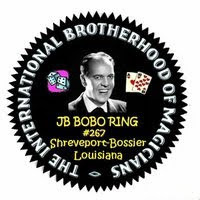 The inexhaustible Robert Trudeau pointed out the opening in this post just a few days ago, giving Shreveportblog readers a small glimpse at the beautifully bizarre creatures that live in the zoo of Mr. Sewell's imagination. Inspired by a conversation with Meadows Museum of Art Director Diane Dufilho, I went in search of more images of Sewell's work and found this phenomenal gallery by photographer Brian Lewis. If you have five minutes to spare, explore that gallery. You'll end up as thrilled as I am about seeing these pieces, which are assembled from garage sale and garbage pile finds, in person on Sunday, May 1, 1 p.m.-5 p.m. The exhibit runs through July 31, so you'll have plenty more chances to catch it. Meadows Museum of Art is located on the Centenary College campus, just north of the intersection of Kings Highway and Centenary Boulevard. I'd like to thank photographer Brian Lewis for being so happy to share his work for the purpose of promoting Mr. Sewell's show. Every artist should have such an unselfish friend who also happens to be a gifted studio photographer! Thanks, Brian! 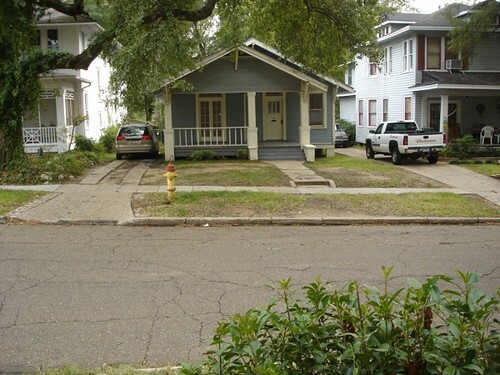 631 Dalzell St, Shreveport, a photo by trudeau on Flickr. The Highland Restoration Association's new signature event is the Highland Experience, says Tina Kendrick. It will take place Sunday, May 1, from 11:00 am - 3:00 pm in the 800 and 900 Blocks of Robinson Place. Highlights include a taste of 10 of Highland’s best restaurants, live music, an artist’s fair, historic exhibits, & a special children’s arts & crafts area. Tickets are $10 (cash only, please) and $5 for youths. The price includes a taste from each restaurant; there will also be a cash bar. 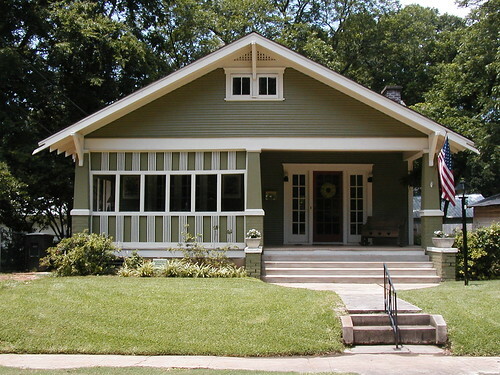 The event is a fundraiser for the Highland Restoration Association (HRA), a grassroots neighborhood association that focuses on the revitalization and preservation of Shreveport’s historic Highland neighborhood. For more information about The Highland Experience and the HRA, visit our website at restorehighland.org. 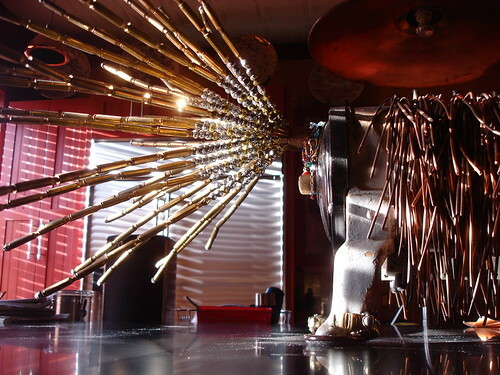 Moonbot Studios, Shreveport , a photo by trudeau on Flickr. "Calling all artists," says Alex Kent. "Robinson Film Center is partnering with Moonbot Studios at Artbreak between Friday and Sunday. If you remember last year's Animation Wall, you're going to love it. We're doing a 60-foot tracking shot over the course of three days in order to document an animated story's progression along a 60-foot wall." "Oh, and there are lollipops." Aseana Festival, Shreveport, a photo by trudeau on Flickr. "Park at the Municipal auditorium lot and hop on the trolley to enjoy a Rendezvous on the Red day," says Julia Foley. "The shuttle will take you to the Texas Avenue Makers Fair and the across-the-street Asian Festival and then will take you to ArtBreak - too much fun for one day!" ArtBreak 09: Earl Raymond, Jessica Williams, Eric Raymond, Shreveport, a photo by trudeau on Flickr. Artbreak is an annual explosion of color that features Caddo and Bossier Parish students in juried exhibits and free hands-on art activities. The largest children's festival in the state, Artbreak is a weekend of dance, music, theater, food, fun and a 5K race. Byrd Hairspray 2011 068, a photo by trudeau on Flickr. 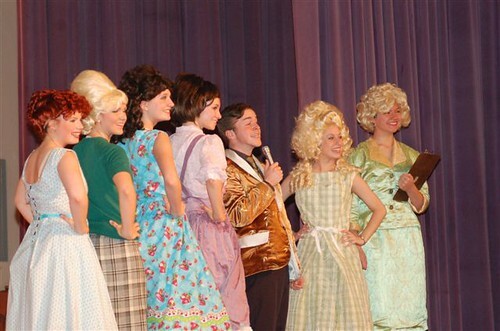 Hairspray hits the Byrd High auditorium April 28 - 30, says Ryan Williams. With Madison Pugh and Brendan Doran topping the bill, the shows begin at 7 pm and cost $10. Info: 869 2567. Left to right: Mary Morgan Anglin, Kelsi Copeland, Alex Noble, Megan Southern, Nate Harr, Alyssa Farmer, Hayley Cooper. Photo by LeAnn Anglin. Caddo Magnet in Vans competition, a photo by trudeau on Flickr. Fifty thousand dollars in art department prize money is up for grabs, says Vans shoes. 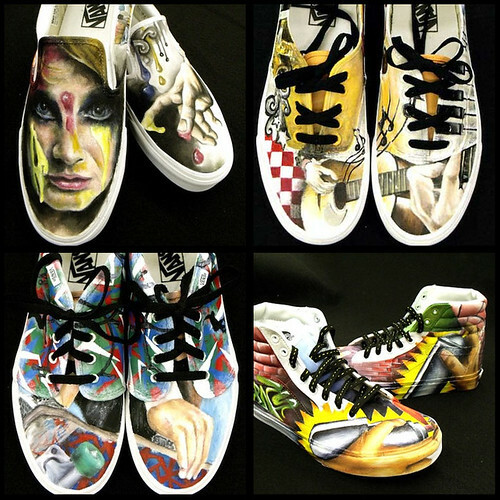 In the next week (deadline May 2) the qualifying high schools with the best organizations will win the Vans shoe customization contest. And Caddo Magnet is in the semi-finals category, says teacher Shirlene Alexander. At the site Vans.com/customculture one sees that Caddo Magnet is the only semi-finalist from Louisiana. Magnet faces 9 school / community organizations in the southeast division. The voting process is quick, says student Rachel Carson. Evidently only one vote from each IP is counted. With students all over the world painting their shoes today, the first level of competition was stiff, noted James Young. Having made the design and execution cut, the Magnet team hopes that the community will support them in the voting. Voting closes at 11:59 pm on Mon, May 2, said Ashley Anderson. 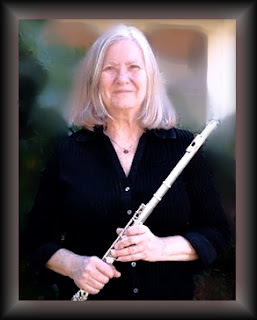 SSO Principal Flute Sally Horak, SSO 'cellist Paul Christopher and pianist Dr. Francis Yang will be in recital Tuesday evening 4-26-2011 7:30 PM. The program will be held at Centenary College Anderson Auditorium in the Hurley School of Music and feature works by J.S. Bach, C.M. von Weber and Hilary Tann. Extension of Excellence Performing Arts Inc, a photo by trudeau on Flickr. Impromptu exhibit, Artspace Shreveport, a photo by trudeau on Flickr. 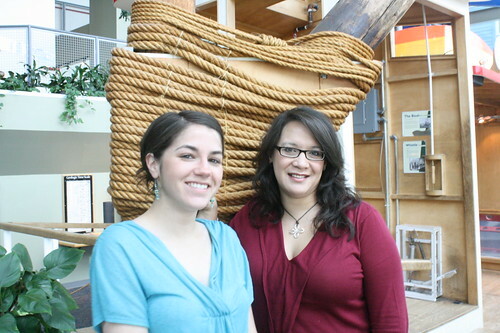 "Come to artspace for a conversation with the NWLA Juried Artist Roster members, the SRAC and artspace boards. We'll share information and answer questions as we prepare to turn a new page in the growth of the Arts in the region," says Foley. Parking is available at the Blue Scroll Mural lot, corner of Texas Street & Common Streets. Bennett Sewell, Shreveport, a photo by trudeau on Flickr. "Whimsical and full of meaning, the sculptures of Shreveport artist Bennett Sewell will engage visitors of all ages," says Diane DuFilho. 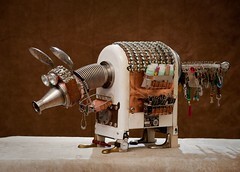 "Sewell assembles his sculptures from objects discovered at garage sales, junk yards and myriad other places where intriguing items are found. 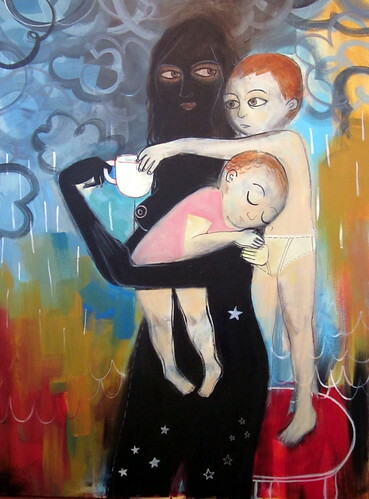 The result is a visual cacophony of shapes, sizes and colors that draws viewers in." 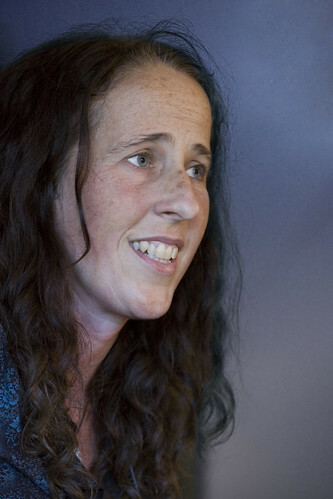 Ellen Soffer @ BAC Ap 28, a photo by trudeau on Flickr. 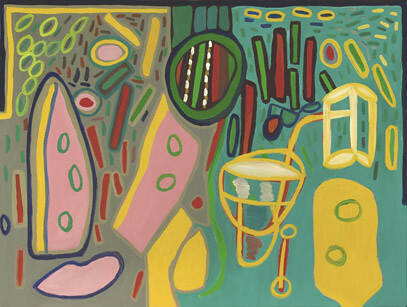 East Bank Gallery in Bossier City, Louisiana, invites you to see an exhibit by one of the region's hardest-woking and most accomplished painters, Ellen Soffer. "I'd especially love to see you at the opening reception," says Philadelphia-native Soffer. "It's Thursday, May 5, 6 pm." 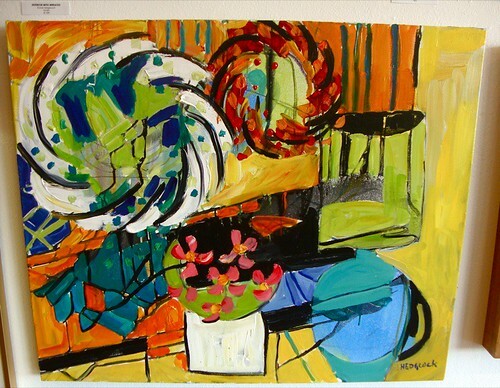 The 20 paintings and 7 works on paper included in "Ellen Soffer: Busy Season" are abstract and explore compelling color and shape relationships, says Bossier Arts. They are reactions to personal events involving memory, dreams, visions, and emotions. 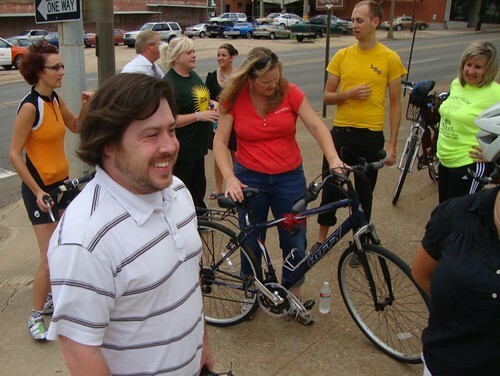 A Better Shreveport Candidates Bike Ride, a photo by trudeau on Flickr. "Welcome to My World is a coming of age comedy about a gay college student, his troubled kid brother, and his stoner best friend,"says Jeremy Jones, Shreveport videographer and fimmaker. "The film follows the trio and their web of friends and frenemies as they prepare for a much-hyped Halloween party. A sort of John Waters meets John Hughes style film, its underlying message is that all people are connected on a spiritual level." "To get the movie to the masses," adds Jones, "my plan is to take a new approach to self-distribution. Instead of posting the film to the Internet, I want folks to enjoy it projected on a silver screen. To accomplish this, I will take the film on the road similar to the way rock bands tour - going from town to town and creating buzz ahead of each stop via social media such as Twitter and Facebook." The reason for the $20K in the kickstarter project? "Instead of spending huge amounts of money to rent theatres in each city, I will purchase my own digital projector, portable screen, surround sound equipment, popcorn machine, folding chairs, and a trailer to carry it all. With the assistance of fans and friends, I'll book free venues along the way - bars, restaurants, homes, libraries, colleges, etc." Jason Danowsky: the Poet of Funk / cd release party, a photo by trudeau on Flickr. "Fresh off of winning the 2011 KSCL Battle of the Bands, The Poet of Funk invites you to celebrate the release of his first EP: Gratuitous Everything!" So says the poet's alter ego, Jason Danowsky. The Crow's Nest is a 21+ bar. No cover, buy a CD! In celebration of the budding successes and mounting presence of the movie and entertainment industry in the Shreveport-Bossier area, Fairfield Studios launched the first annual Shreveport-Bossier Best Screenplay Competition, encouraging local talent to make their voices heard. The contest website, www.sbshortfilms.net, drew an astounding 80,000 hits during the mere three months of competition, offering up a delicious grand prize for emerging screenplay writers. Not only would the winning script be produced by Fairfield Studios, but then also publically premiered at Shreveport‟s own Robinson Film Center and entered into film festivals across the country. Fundraising is underway at Kickstarter with very generous incentives. 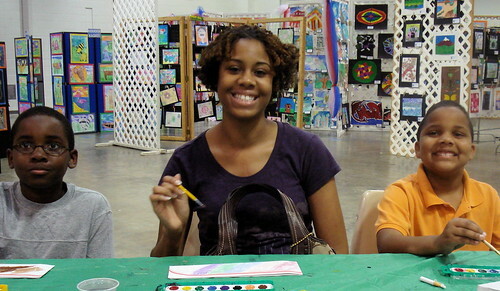 Donors can also donate through the Bossier Arts Council and qualify for tax credits. Grand Prize went to “Lobster Boy,” written by Terry Kendricks, whose showstealing screenplay went on to steal the stage once again, when announced to a live crowd during Shreveport‟s Red River Revel, in October 2010. Additionally, Mary Kim Sipes‟ screenplay, “Izzy‟s Christmas Wish” grabbed the People‟s Choice Award. 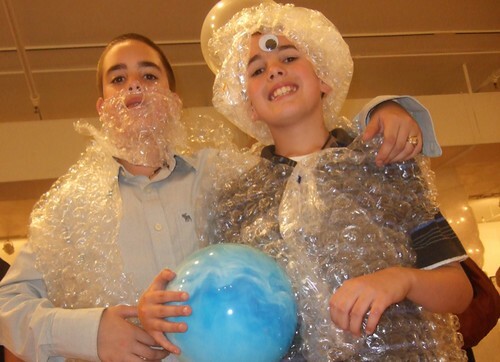 Production for Lobster Boy is scheduled for May 2011. Aseana Park, Shreveport, a photo by trudeau on Flickr. a "Keep America Beautiful" Clean Up Day for Texas Avenue, Aseana Park and the Shreveport Commons areas of Downtown," says April Dahm. Dahm adds, "The first step to community revitalization is to rid the area of trash, weed and debris." 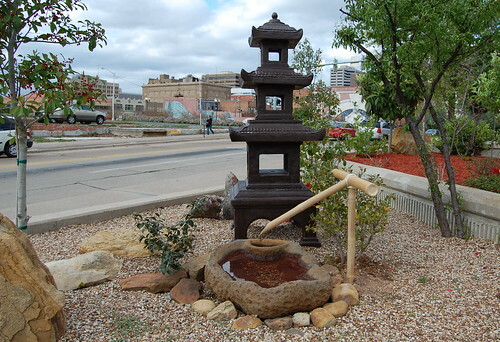 - TACA will focus on trash pickup between Common St. and Murphy St.
- Aseana Foundation will be working in the Asian Gardens, corner of Texas Ave and Common. - Shreveport Regional Arts Council will focus on the areas within the Shreveport Common not covered by the other teams. 9:00AM - 11:30AM- Clean Up: Hit the Pavement! 11:30AM / lPM - Hootenanny @ Aseana Park! - Live Music by DirtFoot! Vissi d'arte, a photo by Tacoma Opera on Flickr. 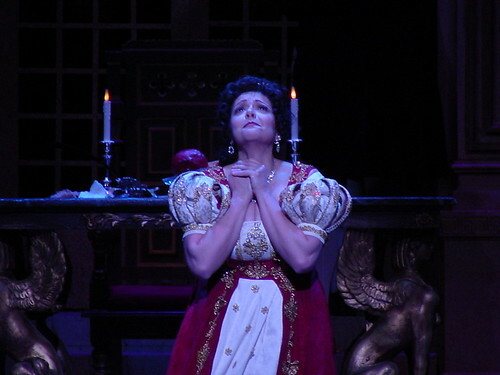 Shreveport Opera will present Tosca, an opera by Giacomo Puccini, on Sat, Ap 16, at 7:30 pm, at the Riverview Theater. jealousy, more love, murder, yet more love, more murder, an execution and oops, a nasty fall. Tickets are $15 (Students), $25, $45, $65 and $90. The actual name of the restaurant referred to locally as "Town South" is "Town South Food & Wine and Pho Beef Noodle Soup Crawfish and Oyster." That's the name printed on the menu. With a name that unusual, I was already fairly certain that I'd soon be having a singular dining experience as I headed south on Youree Drive to E. Flournoy Lucas Rd. A friend had recently told me of the combination grocery store/Vietnamese restaurant, and he'd described it as a no-frills, deli counter type place that just happens to serve authentic Vietnamese seafood and traditional soups. Despite being briefed on what to expect, I was still caught off-guard by the sign at the corner: LIVE BAIT. 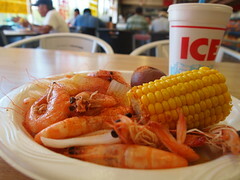 I joined the lunch crowd in ordering a plate of boiled shrimp (pictured above), which came heads-attached, served atop a pile of boiled onions with corn and potato, the whole plate covered in Tony Chachere's. They were good, but I ended up with buyer's remorse after reading the selection of Vietnamese soups: Oxtail Beef Noodle Soup, Combination Noodle Soup with Shrimp, Beef Liver, Squid and Roast Pork (hachi machi! ), Rice Noodle Soup with Pork and Crab Claws, and many more. It's the context that makes Town South rewarding. You don't expect Oxtail Soup from a place with a Slush Puppie machine in the back. Some will wonder how a place like this ends up on a tourism-related blog. It's not going to get starred by Michelin any time soon, and the dining tables are sandwiched between boxes of Ritz Crackers and cases of malt liquor. Honestly, my answer would be: just look at it. There's an airboat parked beside the building. There's a note apologizing for how expensive crawfish are this year. This kind of place only exists here. Town South is open Monday-Thursday, 11 a.m.-9 p.m., and Friday-Saturday, 11 a.m.-10 p.m. They accept all major credit cards and take take-out orders at (318) 797-0622. Prices range from $6-$18 and there are daily lunch specials. View a slideshow of photos from Town South. Nancy and Karen 004, a photo by karen42288 on Flickr. Sustainapalooza takes place at Sci-Port: Louisiana's Science Center from 11 am to 4 pm, says Karen Wissing. Admission to Sci-Port is buy one and get one free, thanks to Chesapeake Energy Corporation and the Shreveport Energy Efficiency Division. Come listen to and interact with many local experts and community partners in areas such as alternative energy sources, establishing a healthy local food system, sustainable gardening, rain barrels, solar/wind energy, geothermal technology, recycling and composting resources, energy efficiency and green builders. Find out what is Shreveport doing to be more energy efficient with Tracey Graham of the City of Shreveport’s new Energy Efficiency Division and representatives from the Caddo Parish Green Economy Task Force will be on hand to share all the exciting things that you didn’t know your parish was already doing. It's Spring and that can only mean one thing!! It's time for P.A.C.E. 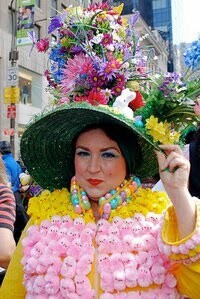 's (People Acting for Change and Equality) 3rd annual Easter Bonnet Party. Get out your glue guns and aim for the clouds because this year's prizes will be more fabulous than ever. This eventful occasion will meet at the beautiful historic home at 2745 Fairfield on the corner of Fairfield and Kirby, Shreveport Louisiana, April 17, 2011, from 1:00 to 4:30 pm. There will be a raffle of glamorous prizes that are sure to dazzle (cash only). Children are welcome and are encouraged to create a bonnet to enter in the Children's Bonnet Contest. Champagne and Vodka cocktails will be provided. Those who participate are asking everyone to bring their favorite dessert to add to the sweets table. The Caddo Parish School Board’s Vision 2020 Plan currently calls for the closure of one of Highland’s historic neighborhood elementary schools, Creswell Elementary, and the demolition of the other one, Barret Elementary. HRA’s next General Membership Meeting is on Tuesday, April 12th at 6pm and will feature school board representative Charlotte Crawley. She will present the school board’s plan and hold a Q & A session; Columbia Cafe will be catering as well. If you are concerned about preserving Highland’s historic schools, please plan to attend this meeting and voice your opinions to Ms. Crawley and the rest of the school board. There has been much disapproval surrounding the closing of Creswell and Barrett Elementary Schools in the Highland area. 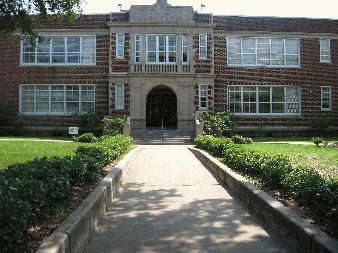 "Caddo Federation of Teachers President Jackie Lansdale says this would all have a negative affect in the classroom. "Making sure we have good qualified teachers in our classrooms should be our priority, and that doesn't appear to be that." She said, "We would take a very dim view of the school board beciding to take away these things from teachers and school employees." The proposed changes would be phased in over three years, beginning next year, but The School Board can modify the plan. Big Love: MLP Ap 14 - 17, a photo by trudeau on Flickr. From an exciting contemporary playwright comes the groundbreaking play Big Love by Charles L. Mee, says Luke Eddy. This fearlessly physical production, observes Eddy, showcases a circus act of elements that defy the boundaries of conventional theatre. The plot follows the story of 50 brides as they flee to Italy on their wedding day to escape their arranged marriages. The action focuses on three brides and three grooms as they engage in a heated battle of the sexes. Directed by faculty member Emily Heugatter, the cast includes Sandy Rather, Abby Presswood, Chelsea David, Lauren Morrison, Natasha Sebeyran, Barry James Acosta, David Fitzgibbons, Scott Gibbs, Jacob Bates, Josh Rabalais, Emily Hay, Amanda Spangler, and Tara Watson. See a Luke Eddy & Emily Heugatter video preview here. Shreveport Blog salutes the Centenary Drama dept for producing this cool promo. 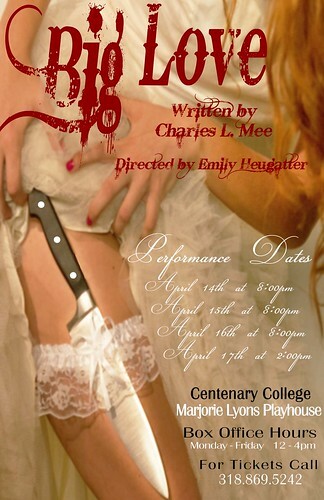 Big Love: Marjorie Lyons Playhouse one weekend only: April 14th, 15th and 16th at 8:00pm and April 17th at 2:00pm. Ticket prices are $15 for adults, $12 for seniors and military. Box office at 869-5242. 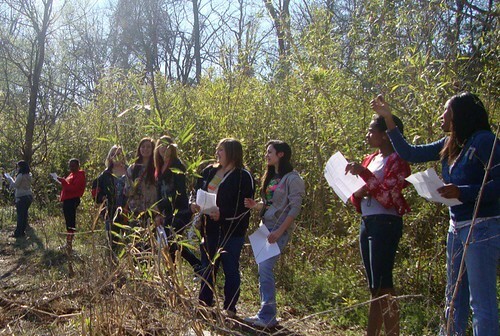 Magnet Shreveport: geography class Coates Bluff Trail hike , a photo by trudeau on Flickr. "Potentially, a network of bike paths and routes would go through Centenary and surrounding neighborhoods and connect to the newly developed Coates Bluff nature trail that goes from Sevier St. to Valencia Park. That trail connects three schools—Montessori School, Stoner Hill Laboratory Elementary School, and Magnet High School—and is becoming an effective “outdoor classroom” for students, as well as a relaxing walking trail for local residents" says A Better Shreveport director Loren Demerath. Demerath and a team of urban planners are inviting local nature-minded, pedestrian-minded, bike-minded people to meet on Saturday, April 16th, 9:00 a.m. to 11:30 a.m. at Centenary College to commit their dreams to planning documents. "Centenary College and ABetterShreveport.org will host a meeting of community residents and organizations to discuss bike path and nature trail possibilities. One idea is to eventually connect that path to the current bike path that goes along the river between downtown and Hammel’s Park near the Jimmie Davis Bridge," continued Demerath. At Saturday's meeting, urban planners from a local architectural firm have volunteered to partner with Centenary and ABetterShreveport.org to facilitate a discussion among residents, neighborhood associations, and local organizations about what the bike and trail network could be. "If you have any thoughts or feelings about these possible trails and bike paths, please consider joining us at the meeting," says Demerath. Coffee and refreshments will be served. The meeting will be held on the Centenary College campus, in room 201 of the Hurley Music Building. Rita, a photo by galuppi on Flickr. "We’ve not had the pleasure of enjoying a Rita Hosking performance," writes Jim Huckabay, "but have listened to her music and enchanting voice. If you’re familiar with Gillian Welch, then you’re not far away with Rita. A descendant of Cornish miners who sang in the mines, Rita grew up with a deep regard for folk music and the power of the voice. The California Bluegrass Association (go figure) calls her voice “A soulful howl from the mountains”. She’s ably supported by instrumentalist Sean Feder (banjo, dobro & guitar), so expect some good pickin’ & slidin’ behind Rita’s songs about miners, mountains, trailers, stray dogs and forest fires." Sun, April 17, 7 pm at Fairfield Studios. $20 plus donation to supper by Stone's Throw catering. 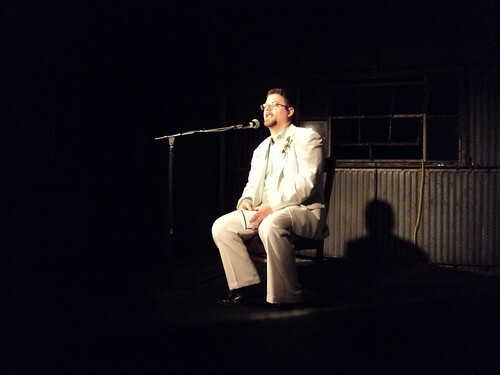 Chris Jay: My Cloven Feet, Five Short Stories, a photo by trudeau on Flickr. "I'll be reading from the book, My Cloven Feet, and selling copies at the Broadmoor Branch of Shreve Memorial Library today, 2 p.m.-4 p.m."
These stories are full of clever and insightful description and wicked turns of plot. Highly recommended. Free bowling for kids? The Dude abides. The Kids Bowl Free National Bus Tour will be making a stop at Holiday Lanes in Bossier City, LA on Monday, April 11, 3:30 p.m.-5 p.m. to sign up local families to participate in the popular summer program. Through the program, bowlers ages 18 and under can receive two free games of bowling per day beginning May 30, 2011 and ending September 5, 2011. Last year, the program registered more than 8,000 participants locally and gave away more than 25,000 free games of bowling. Nationally, Kids Bowl Free gave away 1.5 million free games of bowling in 2010. Folks who can't make the Bus Tour stop can sign up using this on-line form. While Kids Bowl Free participants are still required to rent bowling shoes, that cost is only $3 per child, and can be offset by purchasing a $20 “shoe pass” that is good for the entire summer. Over the course of the 99-day promotion, that adds up to 198 games of bowling for a total cost of $20 per child, a savings of $1,069 over the course of the summer. Take that, Groupon. The only potential catch is that free bowling coupons - which must be redeemed by program participants - are e-mailed out on a weekly basis. Families without computer or e-mail access will need to use a public computer in order to receive the coupons. After all of the free family fun ends on Monday, the regularly-scheduled league bowlers will take the lanes. How do the regulars feel about all of these young whippersnappers getting to bowl free? How about it, Dude? Lots of points of interest for me, here: an anachronistic pastime staying relevant by not being greedy (2-D movie theaters may want to take notes), 8,000 local kids registering for this program (Flint, Michigan registered 2,000), and just the awesome footage of kids bowling are my top three "likes." 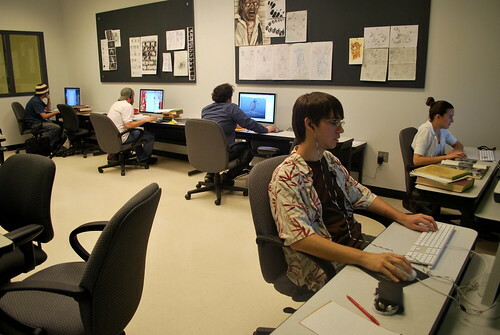 Animation & Visual Effects Program, LSUS , a photo by trudeau on Flickr. The Animation and Visual Effects Program will be hosting several events in the upcoming months, says John MIralles. Dr. Beck will be giving a presentation of the Arts, Visualization, Advanced Technologies and Research(AVATAR) Initiative and its research projects, including Kinect-based human-computer interaction and the Laptop Orchestra of Louisiana. Learn principles of game design by building a first-person shooter game with the Unity game engine. This is a repeat of the workshop presented on February 26. Participants of the workshop will be instructed on creature creation, led by Fausto Tejeda, digital artist with Millennium Studios Shreveport, with Autodesk Mudbox which is a 3D sculpting and painting software that allows artists to create amazing assets with minimal time. The program allows the artist to just create, without having to be concerned about technical details. Students will learn how to create 3D games with an existing game engine in this project-driven course. Some knowledge of basic programming and 3D is recommended. Pop! 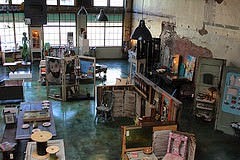 @ artspace shreveport , a photo by trudeau on Flickr. Academy of Children's Theatre (ACT) presents this fun musical about growing up, says Lauren Ross: "Great music, fun script." $15 adults, $10 children. 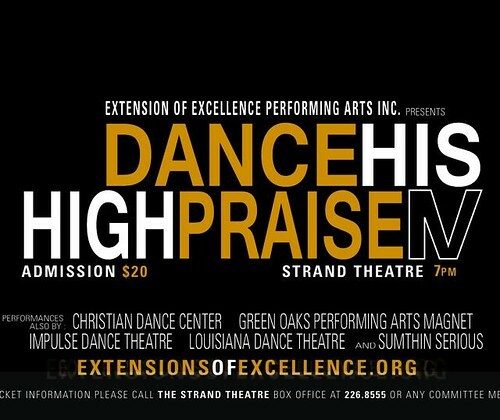 April 8-9, & 14-16 (Fri. & Sat., & Thurs.-Sat.) @ 7 pm, April 10 & 17 (Sun.) @ 2pm. 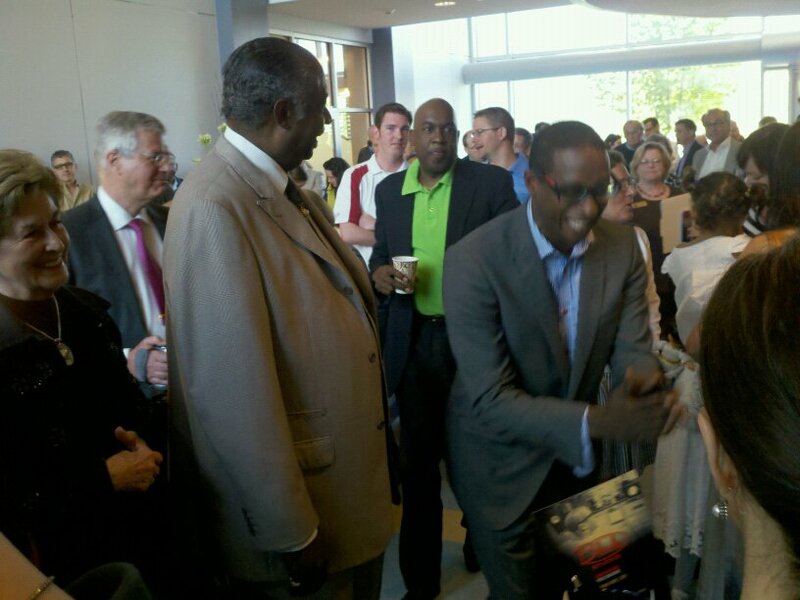 So well-known was Kurt’s activism in Shreveport that Mayor Cedric Glover proclaimed last Saturday, April 2, the day of Kurt’s memorial service here as “Dr. Kurt M. Pickett Memorial Day.” He is survived by his devoted partner of 11 years, Greg Tolman, who provided extraordinary care for Kurt throughout his illness. The check should be made out to "LSUS Foundation". Please note on the check that the donation is for the "Kurt M. Pickett Scholarship". 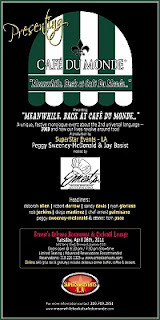 "Meanwhile, back at Cafe Du Monde...", the food monologue show, April 26, 2011 at Ernest Orleans Restaurant. Chef Ernest Palmisano -Owner/Chef of Ernest's Orleans Restaurant - Growing up Ernest was raised in his Father's restaurant that was the legendary place to see and be seen in downtown Shreveport - the kind of place where people dressed for dinner. His stories are entertaining and not to be missed along wiht the amazing buffet of the favorite dishes that make Ernest's Orleans the best restaurant in Shreveport! You don't want to miss the marinated crab claws! His beautiful wife, Tina Marie, has been in the show twice has been influential in the success of "Meanwhile, Back At Cafe Du Monde..." - you don't want to miss her famous tamales! 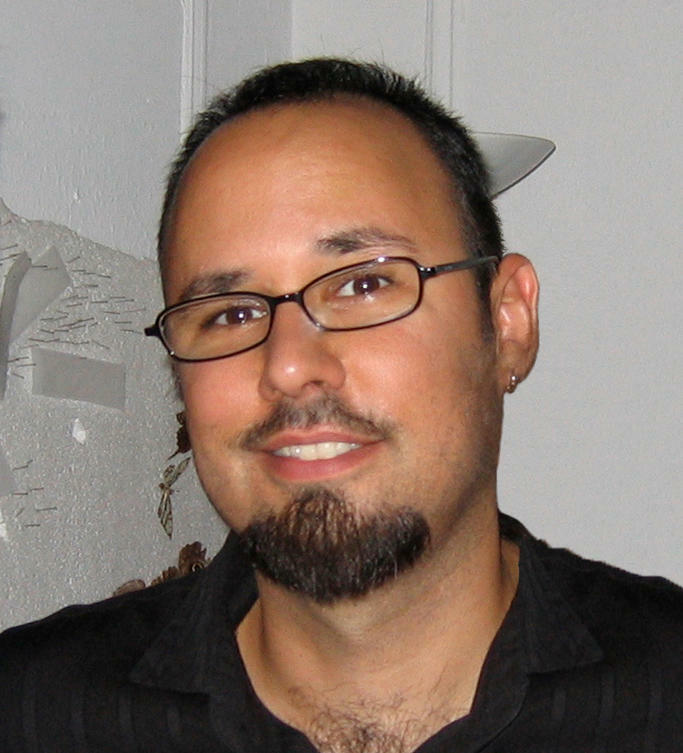 Diego Martinez - President of Millennieum Films - Attended the University of Southern Mississippi where he studied Film Production, near his native New Orleans. After college he started and headed an Internet Service Providing company, one of the first in Mississippi. In 1998 he moved to Medellin, Colombia where he taught English for five years. Diego returned to Louisiana to pursue his passion for film production. After working on a number of productions as an Art Department Coordinator, Diego made the transition to Production Supervisor on three Millennium Film projects. In June of 2008, Diego joined Nu Image/Millennium Films as President of Millennium Studios, and as Executive Producer overseeing Louisiana productions. Currently, he is responsible for the construction of the new studio facility being built in the Ledbetter Heights neighborhood in Shreveport with a grand opening in March. Robert Darrow - Shreveport Little Theatre's Managing and Artistic Director - earned his MA in Liberal Arts from LSU-S in 2002 and a BA from Centenary in Theatre/Speech and Eduction in 1981. He attended Circle in the Square in NYC. In 1990, Darrow helped establish The Philadelphia Center, a non-profit, social service agency and served as its executive director for the first five years. He began his career as a child actor, appearing in over 100 local productions and has directed over forty productions. In March of 2011, Darrow completed a decade's long quest of rebuilding the Shreveport Little Theatre after two fires destroyed the original historic structure. Tom Pace - A returning emcee, Tom has been in the Shreveport shows from the first show on September 2010 and is one of the biggest fans and supporters of "Meanwhile, Back At Cafe Du Monde..." since he was born in New Orleans where eating at Cafe Du Monde. was a weekly event! Deborah Allen - Artist, Writer and Blogger - Presently contributing writer for the Film Industry Trade Magazine, Filming Louisiana, contributing writer for Shreveport Blog. Board member for Hope for the Homeless, and Board member for the Youth Action Group, Young Unique Positive People, Member of the Highland Restoration Association and Case Manager of the Philadelphia Center. Rob Jenkins - Based out of Shreveport, LA Rob Jenkins is the busiest full time magician in the state doing on average 8-10 shows per week. He has been a full time comedy/magic professional since 1998 and has been featured at the Nations top Comedy Clubs and Casinos. Rob headlines Las Vegas 3 times per year and is often called upon to consult some of the biggest names in magic. Rob will be featured in the new Motion Picture "Leaves of Grass" starring Edward Norton. He can also be seen on A&E's "The Exterminators". Sandy Davis - Director of Homeland Security - Bossier/Caddo Parish Returns for his 3rd time as a headliner to "Meanwhile, Back At Cafe Du Monde...." a favorite of audiences as his stories of cooking as a fireman keep audiences in hysterics! 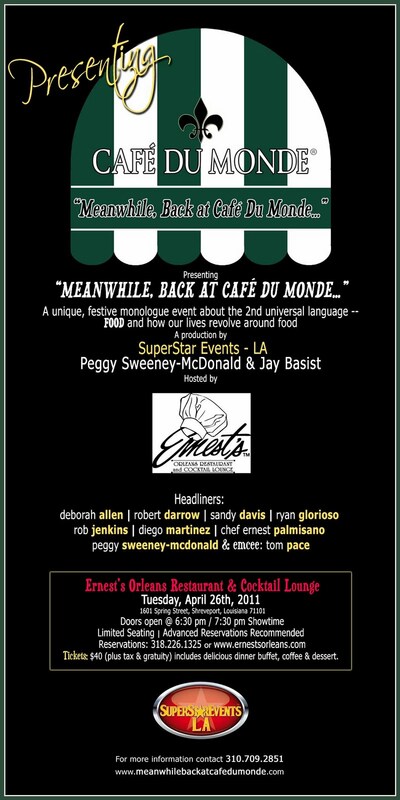 Peggy Sweeney-McDonald - Creator/Producer of "Meanwhile, Back At Cafe Du Monde..." is very excited to return to one of her favorite venues! The Shreveport shows have been very special as they welcomed us with open arms from the first show! Tina and Ernest Palmisano have become dear friends along with all the other fabulous headliners and emcees who have blessed our shows in Shreveport! So excited about the new headliners, Debbie Allen, Ryan Glorioso, Diego Martinez and Robert Darrow! This will be a very special evening! Historic Highland: Drake-Jones house, Gilbert Dr, a photo by trudeau on Flickr. 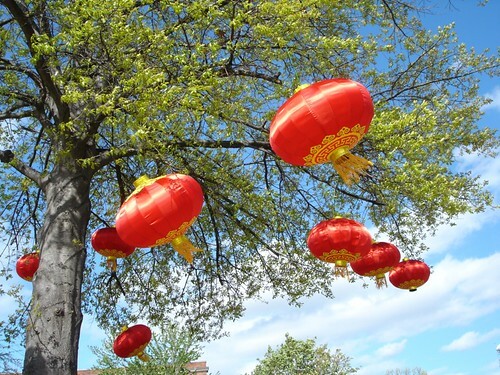 The food, music and art affair is being planned by the Highland Restoration Assoc for Sun, May 1, 11 am to 3 pm, in the 800 and 900 blocks of Robinson Place. More information: Teresa Edgerton, (318) 572-9037, or Tina Kendrick, 902 Prospect, Shreveport, LA 71104; (318) 458-4629 or (318) 572-9037. It all started with the intention of making a music video for “Cast My Plans”. Shreveport's own Dirtfoot were approached by film director Jonathan Rothell with the video concept of the band members playing criminals who wound up in the same jail (filmed at Wade Correctional Facility) That was when the idea of "Dirtfoot Live and in Prison" was born. The audio recording is complete. The video recording is complete. But this is where Dirtfoot needs your help. Their goal is to raise $10,000 to cover the expenses of filming and recording the project, mixing the tracks, post production, and album pressing. $10,000 is the bare minimum needed to release the album. If they go above the goal it will go towards proper marketing of the live album and DVD as well as touring a wider range--meaning Dirtfoot might just come to your town! Dirtfoot is asking you for pledges to help meet their goal. You don’t actually pay anything until the goal in pledges is met. Once you pledge $5 or more then you start getting items from Dirtfoot in exchange. Many of the items listed are exclusive to this project and cannot be obtained any other way. So check out everything they have to offer and grab yourself a few souvenirs while helping out your favorite gypsy punk country grumble boogie band around. For more information on this project or updates from the band themselves, please visit their website or their facebook page. Super Water Sympathy with Ansley Hughesptrudeau on Flickr. Super Water Sympathy is a group that unites The Terms' brothers, Billy and Clyde Hargrove, with drummer Ryan Robinson, veteran of many bands since his high school days, with Ansley Hughes, once best known for her voice and dancing in stage productions for Academy of Children's Theater (Thoroughly Modern Millie) and Caddo Magnet Drama Dept (Chicago). Interestingly, they all grew up in Shreveport. They've got a new album (not quite ready), have performed from Austin to New Orleans and many dates between, and have a super flowing video to the poppy tune "You Us Hey." The entertainment value in SWS begins with belting singer Hughes, possessed of a voice and sense of drama way beyond the commonplace in rock. Drummer Robinson is adept, quietly aware of how to make you move. Guitarist Clyde Hargrove has a murderous wit as well as slashing Strat hand. The new keyboard player is Jason Mills. They're at the Warehouse with Colour Revolt w/ Dear Ghost and Sawyer Family on Fri, Ap 8. Mario Livio at Gelf's Geeking Out reading series - June 2009, a photo by gelfmagazine on Flickr. 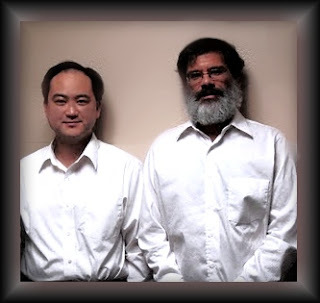 The Mary Jane Malone Lecture Series presents "Is God a Mathematician?" with author Dr. Mario Livio, says Jill Carnie. Hear a fresh and entertaining look at the power of mathematics to explain and predict the natural world by best selling author Mario Livio. 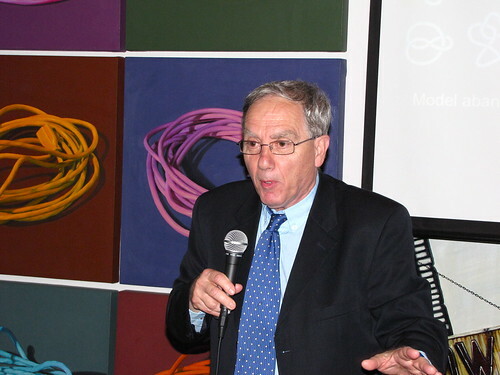 Dr Livio is Senior Astrophysicist with The Hubble Space Telescope Science Institute. Finally finished, a photo by rasputina1 on Flickr. Rachel Stuart-Haas, M. Douglas Walton and Laura Noland-Harter were the winners of the principal visual arts awards in Shreveport Regional Art Council's Impromptu exhibit. 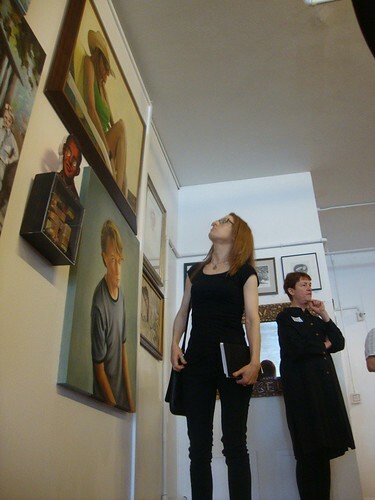 San Diego art critic Robert Pincus announced the awards at Artspace Shreveport on Sat. In the Performing Arts portion of the Impromptu exhibit the juror was Portland-based music critic Brett Campbell. His awards went to Shreveport Opera for the climactic scene from Don Giovanni and to Robert Trudeau for an animated story called Alonzo Maxile, Jr. The illustration above is the winning acrylic painting from Rachel Stuart-Haas; it is called The Creative Process. Randy Hedgcock / Artspace Shreveport / Impromptu exhibit, a photo by trudeau on Flickr. After noontime welcome speeches and Artspace awards, art critic Robert Pincus will speak on the visual arts winners and the overall Impromptu show, says Megan Porter. Pincus will also offer personal critiques to a certain number of Impromptu artists who sign up in advance. An evening of family-friendly entertainment featuring magic, clowning, and comedy! Come see the talented members of the Shreveport Magic Club perform in a relaxed setting, with food and drinks available. Guaranteed to be an evening to remember! Two local magicians featured will be Micah Harold and Jonathan Roarke. Tickets are $10 for adults, and $5 for children 12 and under and may be purchased at the Elks Lodge the evening of the show, or by calling 458-2187. This is a fundraiser for the club, however a portion of the proceeds will benefit Up With Downs. The fun starts at 7 PM, April 2, but seating is first come first serve so please arrive early for the best seats! Plenty of free parking! Brady Blade Jr., Grammy award winning drummer and studio musician has come back to his hometown to head up the studio. He has partnered with Scott Crompton, producer, expert Louisiana tax incentives, media developer to form the core of the company. Blade Studio services will include is a full service production company which will maximize the Louisiana cash rebate incentive to clients. The staff will be your concierge. They will assemble every detail of the production including, travel, lodging, transportation and payroll, so that clients can focus exclusively on their project. Through the Louisiana Entertainment Incentive Program, Louisiana sound recording projects can earn a 25% cash rebate on money spent in Louisiana to complete the recording project. Rebates are available on a number of services. Film audio recording projects earn a 35% cash rebate. Rolling Stones base player, Darrell Jones, was the first client. Blade Studios had their press conference and ribbon cutting event today at their new home, 2031 Kings Highway, Shreveport, Louisiana. It's located inside the Biomedical Research Foundation BioSpace 1 technology business facility, joining other digital film and media tenants located on the ground floor including MoonBot Studios, Louisiana Production Consultants, CRM Studios Louisiana and Cast and Crew On SET. Kurt Milton Pickett, University of Vermont Associate Professor, passed away on February 11, 2011 at the age of 38. He attended Magnet High School in Shreveport Louisiana, earned his undergraduate degree from Louisiana State University Shreveport. He received his masters and PhD at Ohio State University. After a post-doctoral appointment at the American Museum of Natural History in New York City, Kurt accepted a position at the University of Vermont as an Associate Professor where he recently received tenure. In the early 1990's as a teenager, Kurt was a vital member of ACT-UP Shreveport. He bravely worked as a lobbyist, activist and was instrumental in the early development of the Philadelphia Center, the HIV/AIDS Resource Center that services 10 parishes in north Louisiana. He was among a hand full of people who pushed queer rights into a public forum locally. He was always bold but compassionate about teaching others not to live in fear and to advocate for themselves, whether they were dealing with their sexual orientation or their HIV status. Many lives were touched by his knowledge and compassion. Please sign Kurt's guest book here. Shreveport Opera surprised diners at Superior Bar & Grill with an impromptu performance recently. Mistakenly being termed a flash mob, the publicity stunt provided an evident amount of fun for the singers and organizers. Thanks must go to the Community Foundation for sponsorship.